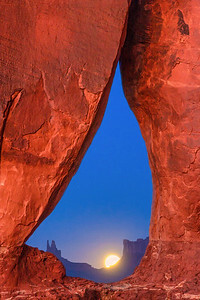 A full moon rises through Teardrop Arch, Monument Valley, Arizona, USA. 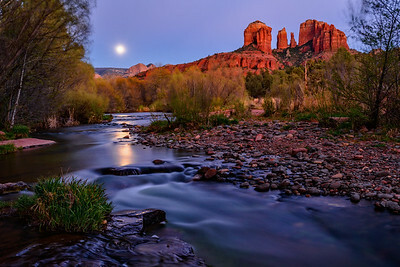 A full moon rises over Oak Creek at Red Rock Crossing near Cathedral Rocks, Sedona, Arizona, USA. 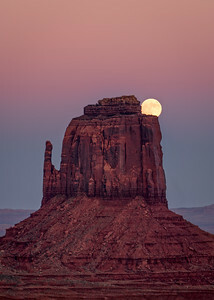 A full moon rises into a twilight wedge at dusk at Monument Valley, Utah, USA. 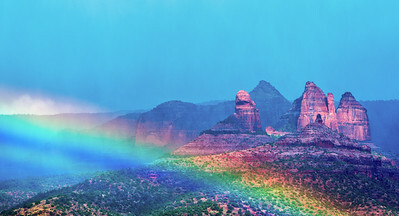 Sedona Rainbow, Northern Arizona, United States. 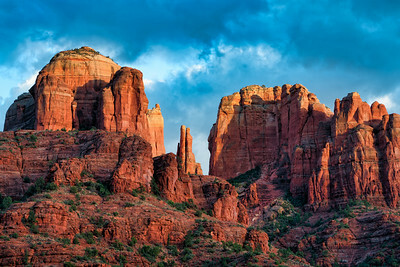 Last Light on Cathedral Rocks, Sedona, Northern Arizona, United States. 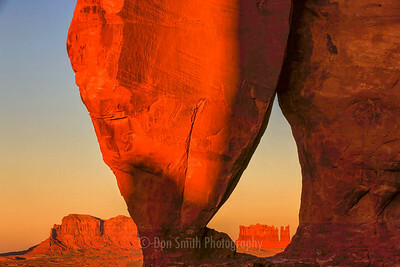 The setting sun warms the red sandstone of Teardrop Arch with The King on the Thrown Mesa seen through the arch and Eagle Mesa to the left. 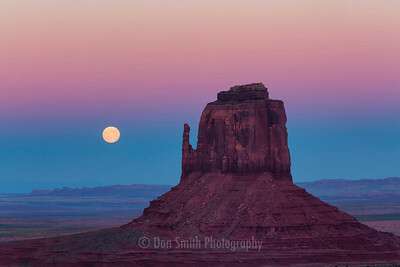 Monument Valley, Utah, USA. 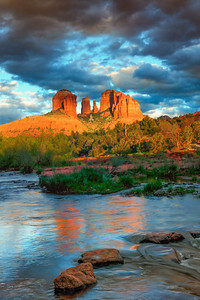 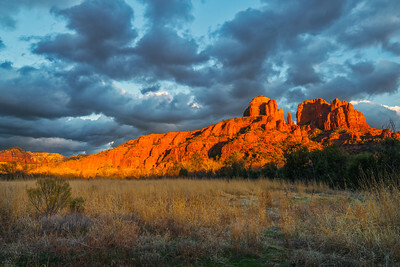 Sunset light on Cathedral rocks, Oak Creek Crossing, Sedona , Arizona, USA. 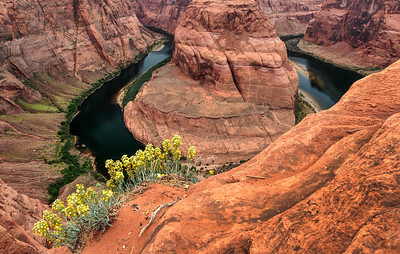 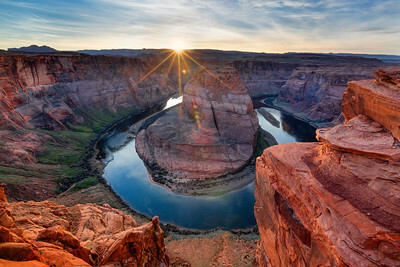 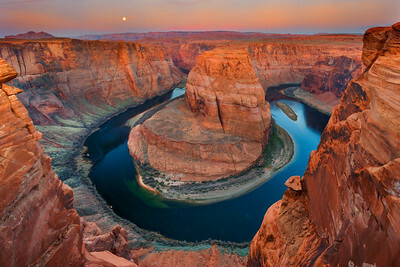 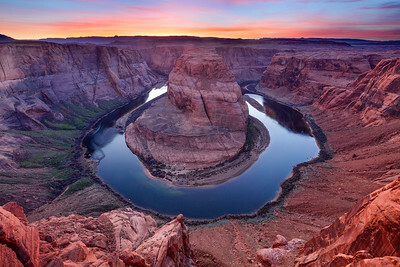 A full moon sets at sunrise, Horseshoe Bend, Page, Arizona, USA. 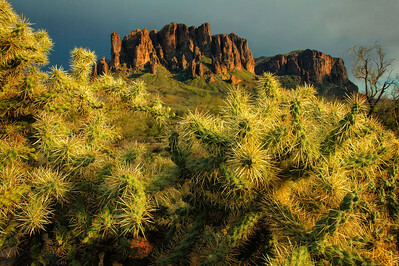 Last light of day strikes the Superstitions framed by Cholla Cacti, Lost Dutchman State Park, Arizona, USA. 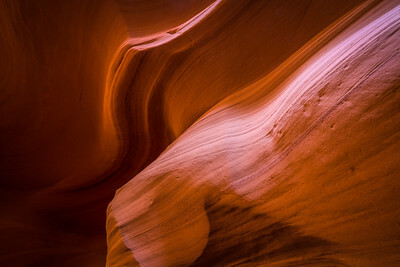 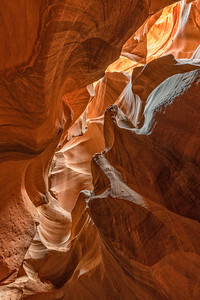 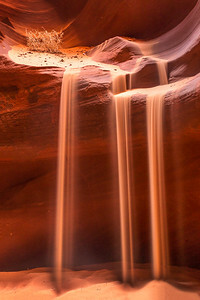 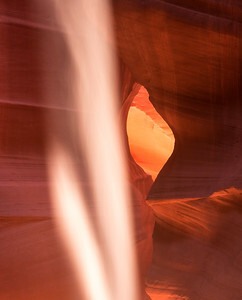 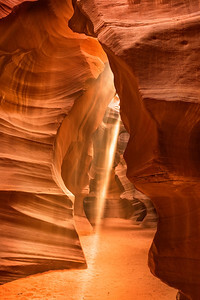 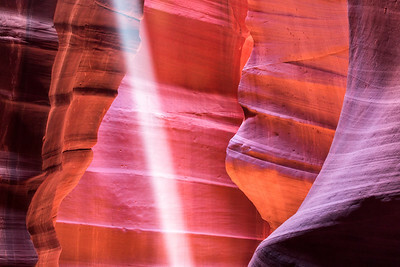 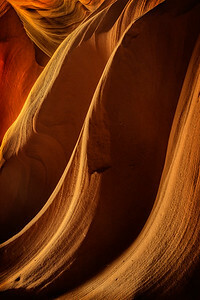 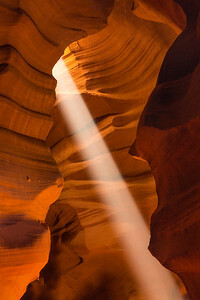 Light Shaft and sandstone canyon walls, Upper Antelope Canyon, Page, Arizona, USA. 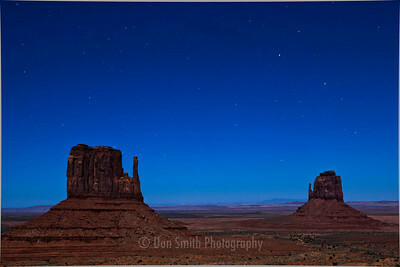 A full moon illuminates The Mittens in Monument Valley, Arizona, USA. 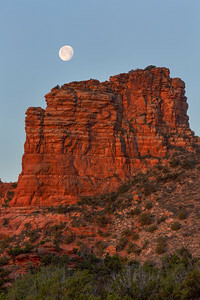 Moonset over red rock butte, Sedona, Arizona, USA. 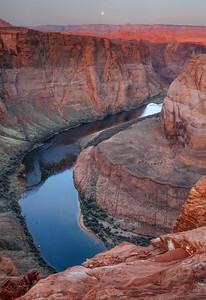 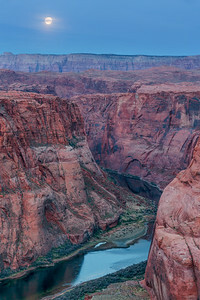 A full moon sets over Horseshoe Bend at dawn, Page, Arizona, USA. 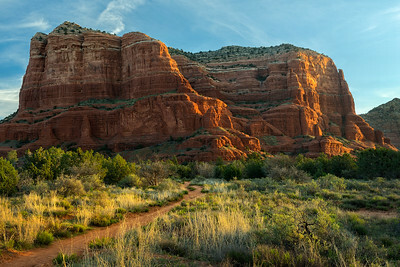 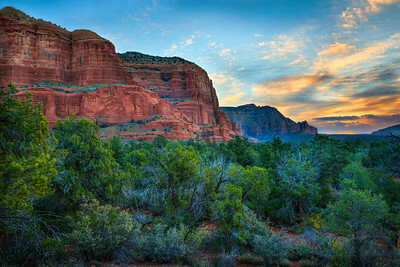 Dawn light at Courthouse Buttes, Bell Rock Pathway, Sedona, Arizona, USA. 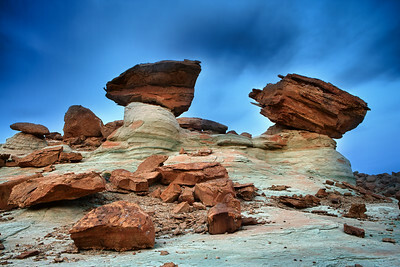 Stormy sky over pedestal rocks at Stud Horse Point near Page, Arizona, USA. 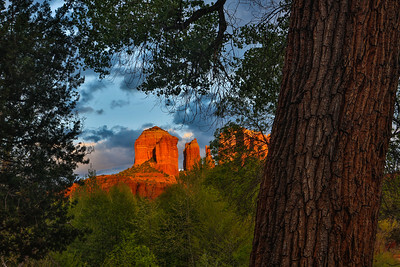 Sunset light warms Cathedral Rocks, Sedona, Arizona, USA.